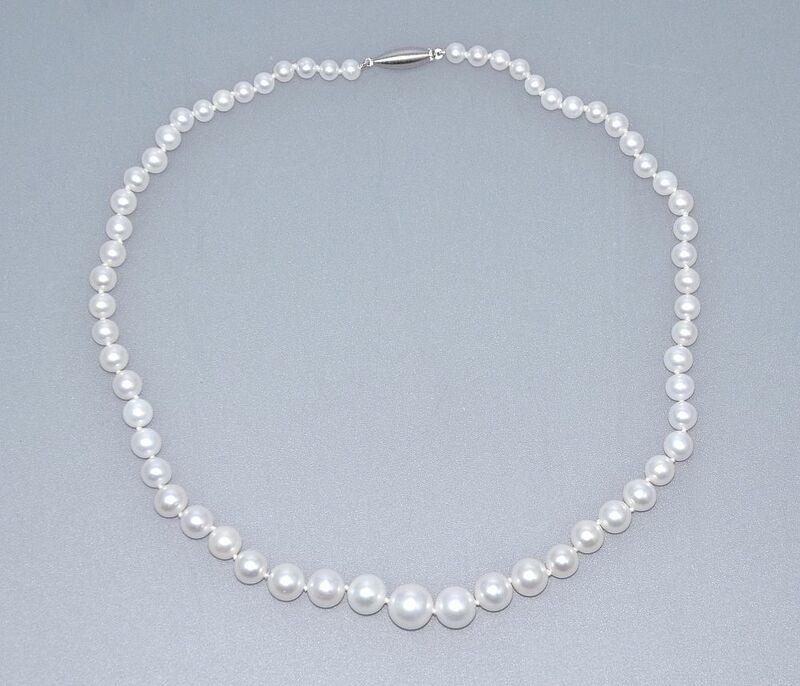 This lovely string of graduated round freshwater pearls are from China. There are 61 fine white good lustre pearls graduating from 5mm to 11mm. The string is knotted and there is a brushed 18ct white gold elongated torpedo clasp.